Updated March 25, 2019: Added new KonoSuba movie trailer preview. Hopefully, the KonoSuba Season 3 release date could be announced close to the movie premiere? Updated February 11, 2019: Added Kadokawa producer’s comments on KonoSuba Season 3 chances. Updated February 7, 2019: Added new Crimson Legend trailer. Overhauled analysis/spoilers based on this info. Added KonoSuba English dub. Updated January 23, 2019: Added leaked premiere date for the Crimson Legend movie. Updated January 2, 2019: Added KonoSuba movie trailer/teaser video. Updated December 14, 2018: Added the announcement of the official English translation of Bakuen light novel series. Updated November 7, 2018: Added official title for the Konosuba movie and a Konosuba: Crimson Legend teaser visual. Adjusted analysis on this basis. Updated October 23, 2018: Added Konosuba movie release date time frame, light novel Volume 15 release date, and updated miscellaneous details. The release date for KonoSuba Season 3 may have been pushed a little further over the horizon now that a KonoSuba movie, KonoSuba: God’s Blessing on this Wonderful World! Crimson Legend, has officially been confirmed to be coming out in 2019. However, the series switched animation studios for the film project, so what does that mean for the third season? In the past, there was a false rumor spreading on the internet that the third season of the KonoSuba anime was confirmed canceled by Natsume Akatsuki, the creator of the KonoSuba light novel series. 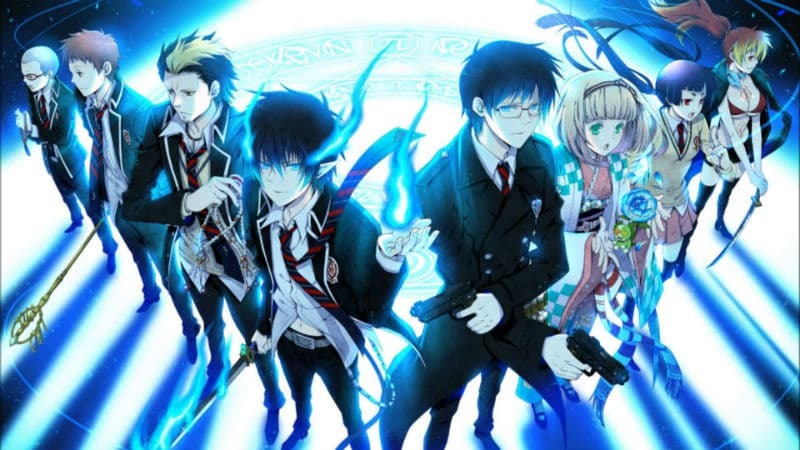 While the third season has not been officially renewed by Studio Deen, the anime production company will likely announce any cancellation plans since the anime series is so popular. While it’s unusual to announce a cancellation even though a sequel was never previously confirmed, it’s not unheard of. For example, Production I.G. officially pulled the plug on Gargantia on the Verdurous Planet Season 2 in that manner. The wait has been long for the new anime project. The upcoming KonoSuba movie was first teased during a July 2017 interview with Jun Fukushima and Rie Takahashi, the voice actors for KonoSuba characters Satou Kazuma and Megumin. 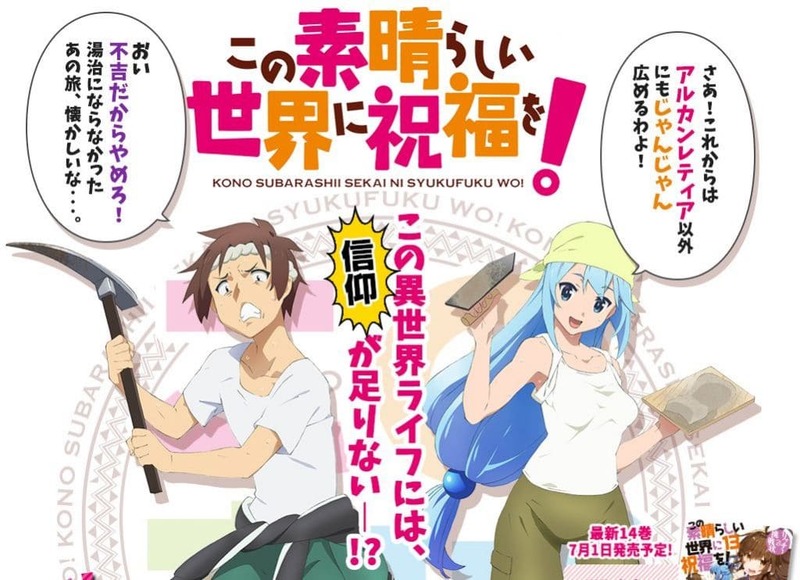 Speaking during a HiBiKi radio program, the duo teased fans by claiming that a new KonoSuba anime project based on the original Kono Subarashii Sekai ni Shukufuku o! light novel series was in the works. In June 2018 the official KonoSuba website began reconstruction and then announced the film project a week later. In October 2018 the official Twitter account confirmed that the KonoSuba movie is coming out in 2019. 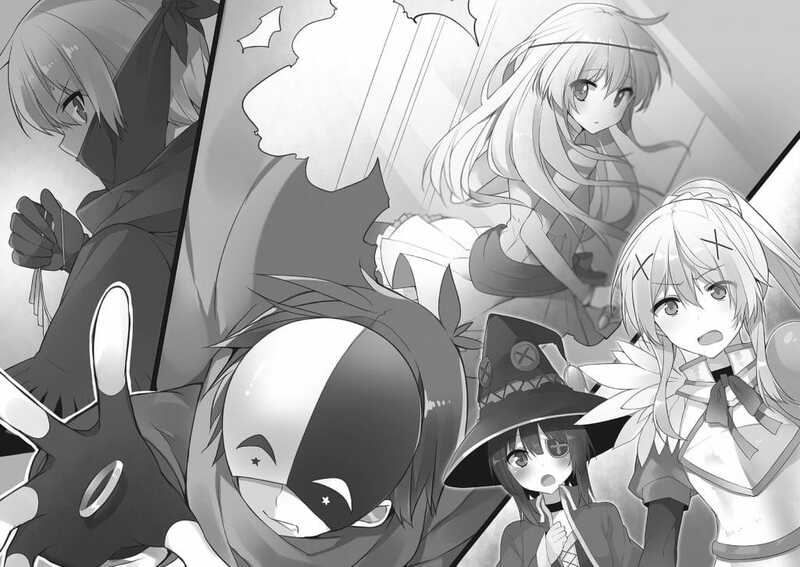 While it is certain that Kazuma, Aqua, Megumin, Darkness, and Yunyun will be returning relatively soon, what form will this new adventure take? Based on the new movie trailers, Crimson Legend will adapt the next part in the main story from the light novels. This story showcases Megumin’s family and is a direct continuation of the anime series, not an original story. How do we know this? The 40-second trailer isn’t much to go on, but it shows Megumin reading a crumpled letter. Unless there is missing context, this particular scene likely comes from the beginning of light novel Volume 5. There are some changes since the book originally opened with a scene about Yunyun and had her crumpling up the letter and throwing it away. The second preview trailer made it even more obvious that Volume 5 is being adapted for the KonoSuba movie. What is known for certain is that the November 2018 teasers focused on Megumin while also showing the main KonoSuba cast as returning. Therefore, since adapting the Bakuen books would preclude Kazuma and Aqua, it’s expected that the Konosuba: Crimson Legend movie will feature a story focused on Megumin and Yunyun of the Crimson Demon clan. Let’s just hope it’s explosive! This article provides everything that is known about KonoSuba Season 3 and all related news. As such, this article will be updated over time with news and rumors. Meanwhile, let’s delve down into what is known for certain. Is the planned KonoSuba: God’s Blessing On This Wonderful World! movie not quite explosive enough for you? In addition to the film and a third season, some fans hope that the Gifting this World with Wonderful Explosions! (Kono Subarashii Sekai ni Bakuen wo!) 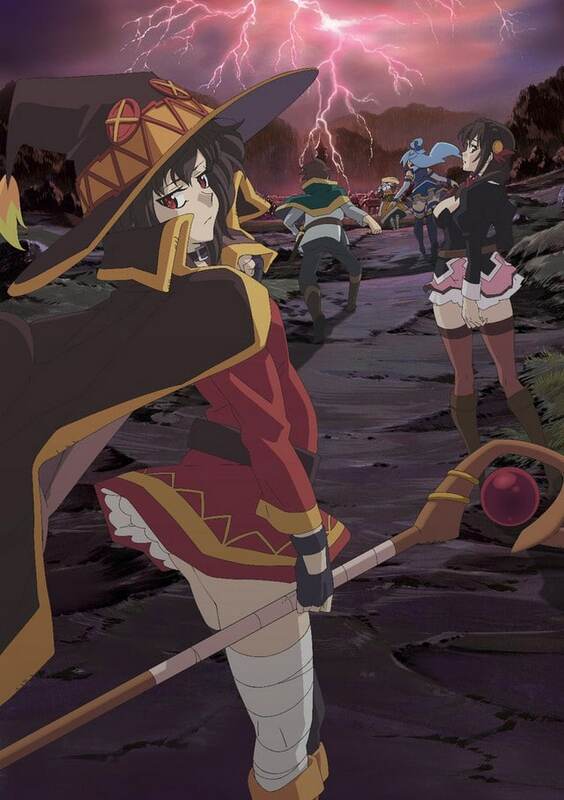 light novel spin-off series based on Megumin will be adapted into an explosive new anime. The Bakuen light novels (“bakuen” literally translates as explosion) are side stories that function as a prequel to the main events of the story. The spin-off series is up to Bakuen Volume 4, which is more than enough for an anime adaptation, whether it be a KonoSuba movie or a new TV series. In December 2018, Yen Press announced that it had acquired the English translation license for the Konosuba: An Explosion On This Wonderful World! light novel series. The English Bakuen Volume 1 is scheduled to release on June 18, 2019. There is also the KonoSuba Dust spin-off Kono Subarashii Sekai ni Shukufuku o! Extra: Ano Orokamono ni mo Kyakkou wo! and the Wiz/Vanir spin-off Kono Kamen no Akuma ni Sodan wo! Unfortunately, those side stories are relatively short and would probably work better as KonoSuba OVA 3. The Kono Subarashii Sekai ni Shukufuku wo! 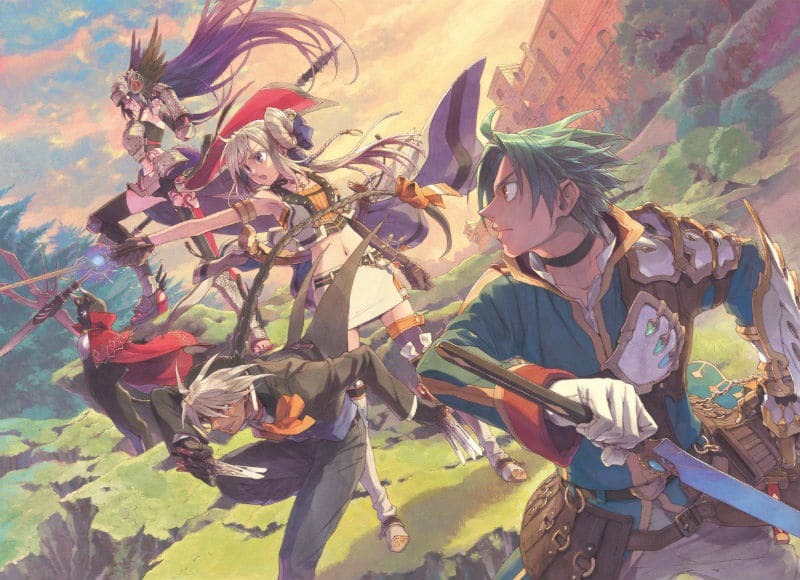 light novel series first began being published in October 2013. The release date for KonoSuba Volume 16, Cult Syndrome was on November 1, 2018. Japanese book publisher Kadokawa has not yet announced the KonoSuba Volume 16 release date although another Bakuen novel is coming out in March 2019. The light novels are based on a web novel, which can be accessed through web archives. The KonoSuba manga series started serializing within Monthly Dragon Age in 2016 and it’s written by the original creator and illustrated by Masahito Watari. KonoSuba manga Volume 8 released in September 2018. 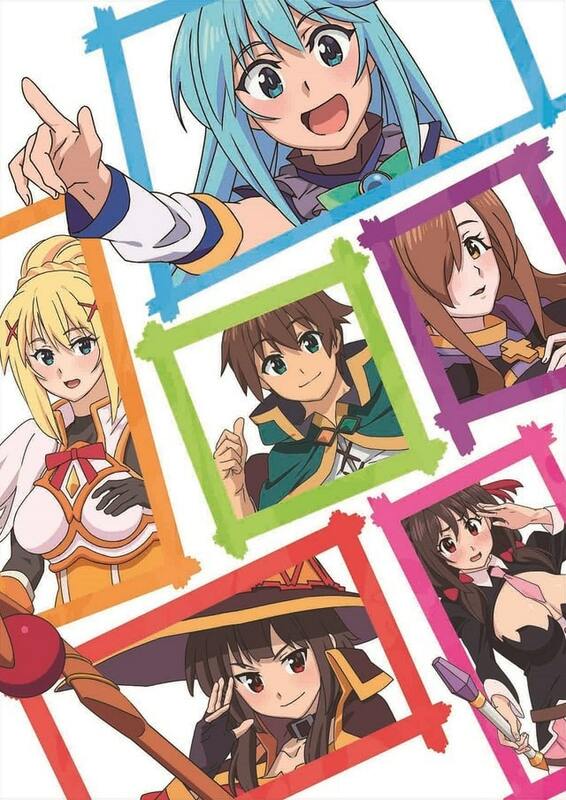 Based on the series’ scheduled publishing history, KonoSuba manga Volume 9 is likely to come out in March 2019, with Volume 10 coming out in September 2019. Unfortunately, while the Japanese manga has passed the events of KonoSuba Season 2, the English translation by Yen Press has not quite caught up. The English translation of manga Volume 7 came out on November 13, 2018. Volume 8 is scheduled to release on April 23, 2019. The first anime season of KonoSuba aired during the 2016 winter anime season. KonoSuba Season 2 followed up quickly, with the finale airing in March 2017 with a combined total of 20 episodes. A KonoSuba English dub began releasing on Crunchyroll starting in January 2019. A fan dub project was briefly released for limited episodes but was eventually taken down. Thankfully, the light novel series provides plenty of source material for Studio Deen to produce KonoSuba Season 3. The second season finished up events from Volume 4, so the third season would start with the story from KonoSuba Volume 6 (assuming that the KonoSuba movie covers the events of Volume 5). Thus far, two books have been adapted per season. It’s possible that the movie will force KonoSuba Season 3 to be a two-cour season based on necessity. Without getting into spoilers (see below), the story of Volume 6 is self-contained while Volume 7 ends with a minor cliffhanger that leads into Volume 8. All three volumes also represent a complete story arc. 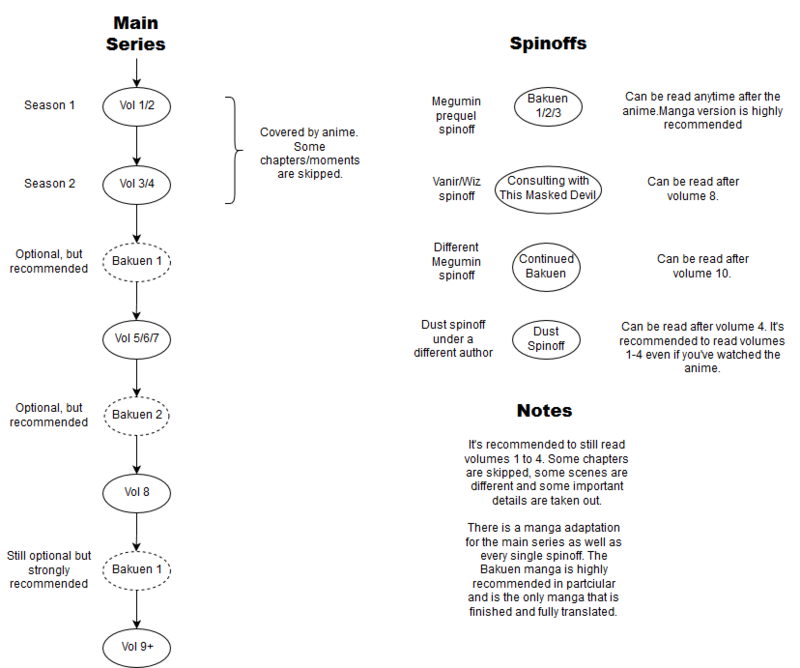 If fans want to read the book series, it’s recommended to start from the beginning since the anime adaptation changed and skipped certain events. Check out this link for the recommended reading order. In June 2016, a KonoSuba OVA (Original Video Animation) episode called God’s Blessings on This Wonderful Choker! was released. The anime short had Kazuma putting a choker around his neck because he believed it would grant wishes, but instead it is slowly choking him to death unless he fulfills a wish he’d unconsciously made when first donning the deadly magical item. The first KonoSuba OVA episode was packaged with the limited edition of light novel Volume 9. KonoSuba OVA 2 was released in July 2017 and it’s called God’s Blessings on This Wonderful Work Of Art! Similar to the first OVA, the second OVA was released as part of the limited edition Volume 12. KonoSuba OVA 2 tells the story of Kazuma’s party searching for a robot created by a Japanese neet who was reincarnated in the past. There’s also a “fanboy” of Kazuma’s, but this fan may have an ulterior motive. Unfortunately, neither one of the KonoSuba OVA episodes are available on official streaming sites like Crunchyroll. In July 2017, voice actors Jun Fukushima and Rie Takahashi teased fans during a 2017 HiBiKi radio program. All they would say is that a “new anime project” was in development, but did not provide any details. The official KonoSuba Twitter page also confirmed that the new KonoSuba anime project was happening. A plot synopsis for the new KonoSuba movie has not been listed yet. However, it seems likely it’ll be focused on Megumin and the Crimson Demon race even though the June 2018 teasers were talking about Kazuma’s journey, not Megumin. It’s a smart move since Megumin is definitely the most popular character from the TV series next to best girl Aqua. If the movie is not an original story, then a Bakuen movie seems unlikely at this time because those books preclude the appearance of Kazuma and Aqua. It just so happens that Volume 5 of the main light novel series focuses on Megumin’s family. Since Volume 5 is one of the most popular books in the series, perhaps the Konosuba: Crimson Legend movie will be adapting that book? The biggest surprise about the KonoSuba movie announcement was that animation studio J.C. Staff was taking over from Studio Deen, which produced the first two seasons. The good news is that the main staff and cast are being kept the same. Director Takaomi Kanasaki will be returning as well as character designer Koichi Kikuta, series composition writer Makoto Uezu, and music composer Masato Koda. The exact KonoSuba movie release date has not yet been officially confirmed but we do know the premiere will be in 2019. However, Japanese movie chain Aeon Cinema is already listing the premiere as being Friday, July 12, 2019. Studio J.C. Staff is already working on three big anime projects in 2018, including One Punch Man Season 2, A Certain Magical Index Season 3, and Han-Gyaku-Sei Million Arthur. It’s also possible (but unconfirmed) that they’ll be producing Food Wars! Shokugeki no Soma Season 4 in 2019. When will KonoSuba Season 3 release? Anime producers are used to hearing a chorus of “KonoSuba Season 3 pls” whenever they’re asked questions by the public, but during a recent Reddit Ask Me Anything Kadokawa producer Junichiro Tamura seemed to give hope for the third season of KonoSuba: God’s Blessing on this Wonderful World! Now, Tamura joined the Reddit AMA primarily to discuss The Rising Of The Shield Hero anime, which is his latest project. So, when he was asked about the chances for KonoSuba Season 3, anime fans were probably slightly surprised by his response. To put these responses into perspective, Tamura was also asked about No Game No Life Season 2, Re:Zero Season 2, and The Melancholy Of Suzumiya Haruhi Season 3. The producer just replied, “No comment,” each time. To be fair, Tamura was not involved in any of those projects, but his comment about KonoSuba Season 3 stands out because he’s also not directly involved with the KonoSuba anime. As of the last update, Studio Deen or any company related to the production of the anime has not officially confirmed the KonoSuba Season 3 release date. Nor has the production of a sequel been announced. Once the news is officially confirmed this article will be updated with the relevant information. In the meantime, it’s possible to speculate about when, or if, the KonoSuba Season 3 premiere date will occur in the future. That statement could be interpreted as either a hopeful endorsement for KonoSuba Season 3 by the studio or an indirect advertisement for the light novels. Based on history, any official announcement concerning KonoSuba Season 3 will probably happen near or after the premiere of the Crimson Legend movie. 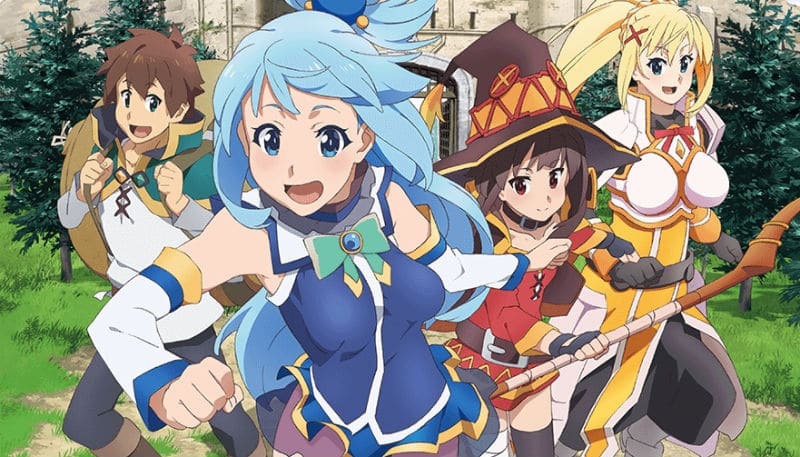 A popular YouTube video started the rumor that Studio Deen had KonoSuba Season 3 canceled thanks to the wording of a thank you letter contained in KonoSuba Volume 11. Author Natsume Akatsuki said in May 2017 that the “anime collaboration had ended for now, at least.” He thanked the animators at Studio Deen for working with him, but neither confirmed nor denied KonoSuba Season 3. Now that the KonoSuba movie has been announced, it’s possible the film project will delay the anime adaptation of the main story of the light novel series. It could be argued that switching animation studios for the movie frees up Studio Deen, but the main staff from the first two seasons are part of the project along with J.C. Staff. Therefore, it seems reasonable to predict that the KonoSuba Season 3 release date probably won’t be until 2020 or even 2021 at the earliest. Anime projects take years to develop and in 2017 many studios were admitting that they were scheduled all the way up through 2020. Unfortunately, the entire Japanese anime industry is facing growing pains due to a shortage of human resources thanks to low animator wages. Many anime studios are booked to capacity and they simply don’t have enough people to do the work. Even though KonoSuba Season 3 is greatly desired, it’s possible Studio Deen is contractually obligated to complete other projects first. The studio released ten anime in 2017 alone (Neo Yokio was co-produced with Production I.G.) and so far they’re up to five anime in 2018. Fans will just have to hope that Studio Deen has already worked KonoSuba Season 3 into their packed schedule and that the KonoSuba movie won’t delay the anime TV series too long. Warning: This article assumes KonoSuba: Crimson Legend is adapting Volume 5 but this assumption has not been officially confirmed. The ending of Season 2 left our “heroes” hanging out at the mansion. Crimson Legend will apparently adapt Volume 5, but first, the anime will need to go back to the cliffhanger ending of Volume 4 that was skipped. The book epilogue ends with Crimson Magic Clan member Yunyun rapping on the door of the mansion. The flustered girl could barely speak. Kazuma was casually drinking tea since he was used to such developments, but then the red-faced Yunyun proclaimed, “I…! I…!! I want to have Kazuma-san’s children!” Needless to say, Kazuma spat out his tea. Despite all the commotion over that announcement, the real reason that Yunyun was there was to deliver a letter from her father, the chief of Crimson Demon village. 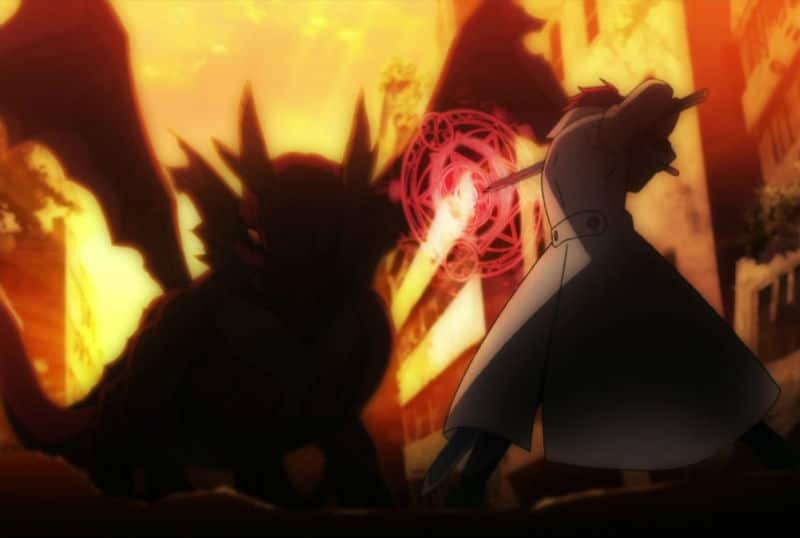 The Demon King was gearing up to launch a major offensive against the village and Kazuma’s group decided to set out for Megumin’s homeland to help fight back. As might be expected, the rest of the Crimson Demon clan is about as odd as Megumin and Yunyun. The village was started by a reincarnated Japanese person and Kazuma is able to read some of the “artifacts” left behind. Their fighting style is baffling because they would rather look cool than be effective in combat. 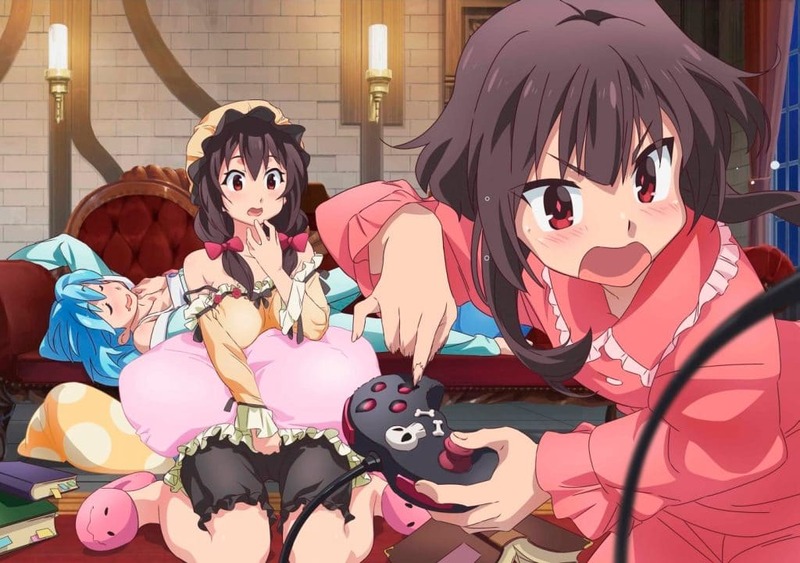 Megumin may think explosions are awesome, but the rest of the clan look down on explosion magic users. Huge Spoiler Warning: The KonoSuba anime has typically defied isekai genre stereotypes by turning them on their head and mocking them. The anime series has so far avoided the trappings of harem animes, but when KonoSuba Volume 5 released the Kazuma X Megumin ship officially sailed. Megumin even admits to her true feelings, although she denies emotions only seconds later. And Megumin’s family only makes things worse. The tension gets even hotter when the two are locked in a bedroom with a single bed. 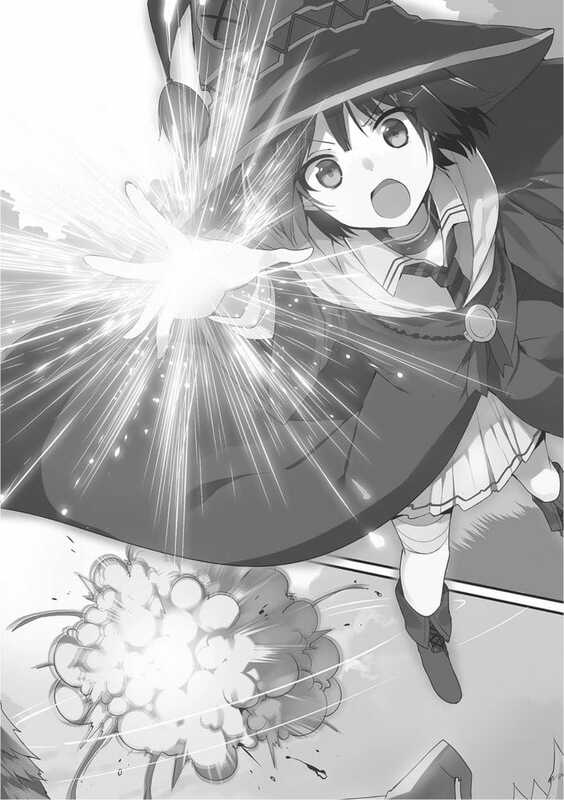 The biggest development comes when Megumin is willing to sacrifice her beloved explosion magic for the sake of the party. While this decision showed how much she cared for the others, Kazuma moves her to tears by instead shifting all of her points into explosion magic. This gesture is what moves Megumin’s heart and she begins to have real romantic feelings for Kazuma. Unfortunately, the Demon King’s army leads Kazuma into a trap: the Demon General Sylvia appears to be a towering beautiful woman, but in reality, this chimera creature is both a man and woman. Not knowing this, Kazuma is so attracted to the manipulative General that he decides to defect to the Demon King’s Army. How will Megumin defeat the Demon King’s army now? Anime fans will just have to wait until the KonoSuba movie release date to watch the explosive ending. Note: The second season was more than popular enough to justify a two-cour season for KonoSuba Season 3, but for the sake of simplicity, these spoilers will assume Studio Deen will do another single-cour season with 10 to 13 episodes. As previously discussed, it’s possible the third season could be more than two books, but it’s also possible the Volume 7 cliffhanger will be skipped similarly to how Season 2 skipped the Volume 4 cliffhanger involving Yunyun. 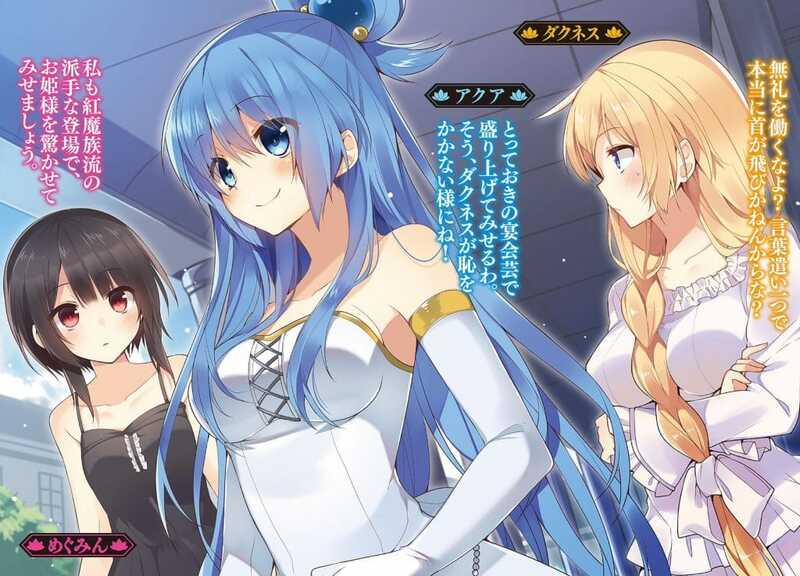 Hearing of the party’s great deeds, Princess Belzerg Stylish Sword Iris of the Kingdom of Belzerg invites Kazuma, Aqua, Megumin, and Darkness to the royal palace to tell the tale of their exploits. But Kazuma’s bloated ego is quickly deflated when his party is given all the credit because he did not directly engage in combat in any of their battles. The King is away due to the endless war with the Demon King and the nobility is upset because much of the empire’s wealth is being pinched by a person known as The Chivalrous Thief. Kazuma tries to redeem himself by catching this thief, but he is disappointed when he finds out the thief’s identity. Kazuma becomes even more ashamed of himself when he loses to the Demon King’s army during a small skirmish, is slain, and must be revived by the gods once again. With his reputation royally trashed by the nobility, the dejected adventurer finds himself all alone, separated from the party. Thus, the major theme of this story is Kazuma finding his own self-worth by finding areas in which he can excel. One of the other themes of KonoSuba Volume 6 is divine relics, which are powerful magical items given to reincarnated Japanese people. Divine relics are so overpowered that when their owners die the gods will attempt to retrieve them before anyone can use them for great evil. As it so happens, Princess Iris has a special necklace that is a divine relic and the goddess Eris wants Kazuma to retrieve it. Kazuma ends up partying up with The Chivalrous Thief when a conspiracy to impersonate the royal family requires that he infiltrate the empire all on his own. Kazuma takes on the identity of the Masked Chivalrous Thief and he manages to singlehandedly beat Claire, Rain, and Mitsurugi. The masked Kazuma is so awesome that Megumin fangasms at his heroics. Since this is KonoSuba we’re talking about, nothing goes quite as expected and Kazuma accidentally steals a magical ring from Princess Iris. This ring requires that the possessor marry royalty and yet the princess is only 12 years old! How will Kazuma resolve this new crisis? 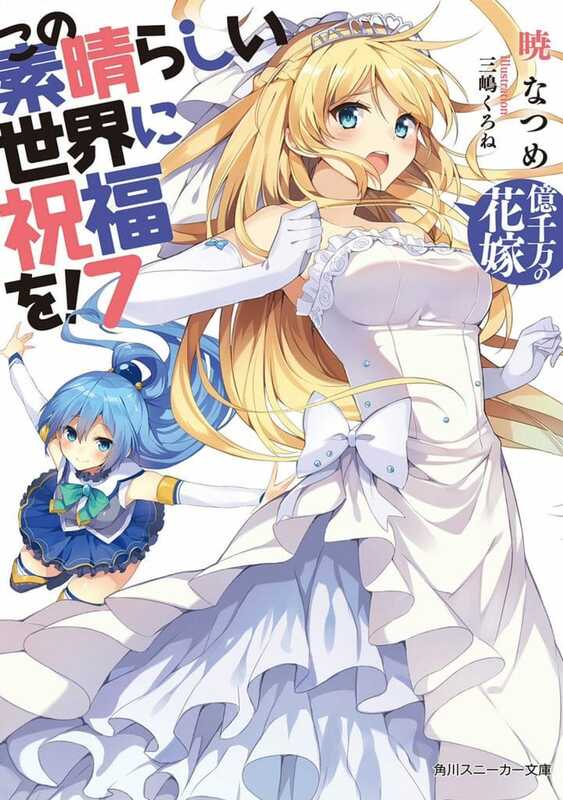 Speaking of marriage, Volume 7: 110-Million Bride is all about princess Darkness getting hitched! Kazuma is taking it easy after piling up money from defeating Demon King’s generals, but Darkness is nowhere to be found and suddenly a resignation letter turns up. And now there are rumors that Darkness left to marry a Lord? Hopefully, KonoSuba Season 3 will surprise everyone by adapting more than two volumes of the light novels. Indeed, let’s just hope that Studio Deen plans on releasing the third season sooner rather than later. Stay tuned!